A nice question for all of us to consider at the start of a new month. 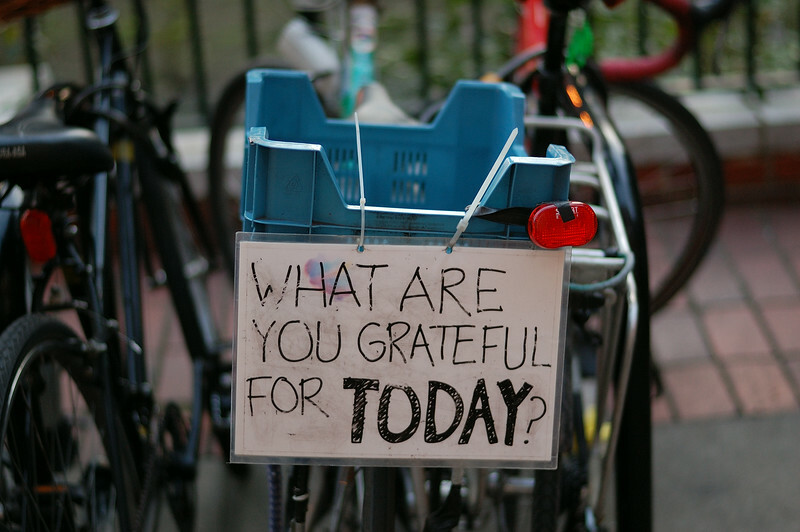 I'm certainly grateful for many things, but I'm definitely grateful to this person for hanging this sign at the back of their bike. Up until then, I was having trouble finding something nice to photograph, so imagine my relief when I saw this lovely message.